Hyderabad, the city of Nizams is known for its avant-garde jüSTa on Necklace Road which is another pearl in the city of pearls, overlooking the mesmerizing Hussain Sagar Lake. Over the last 5 years, this city has emerged as a popular wedding destination in India. 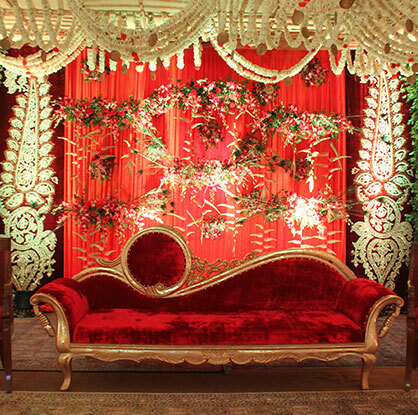 If you have dreamt of a Nawabi style wedding this year, we will help you host your big day in the most royal manner. Our team expert wedding planners take care of everything including world-class cuisine, beautiful flower arrangements, and personalized services that will make your idea of the fairytale wedding a reality.